(a) Fully extend the shock absorber piston rod. 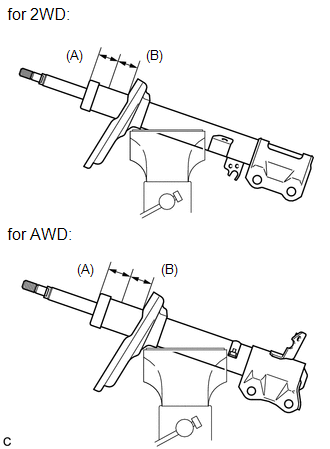 (b) Using a drill, make a hole in area B shown in the illustration to discharge the gas inside. Be careful when drilling because shards of metal may fly about. Always use proper safety equipment.